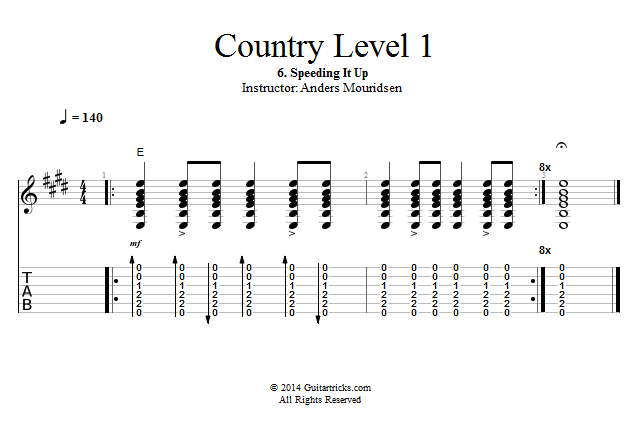 Now that we've worked our way up to the full version of our basic country strumming pattern, let's speed it up a bit. 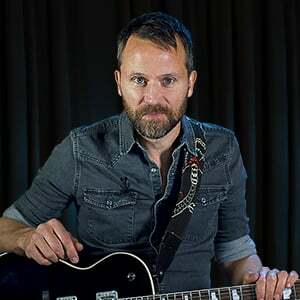 Many country songs are a lot faster than what we've done so far, so it's important to be comfortable with this pattern at faster tempos. Later in the tutorial we'll talk about how you can gradually work up the tempo, but for now just focus on keeping the rhythm steady and your body relaxed.